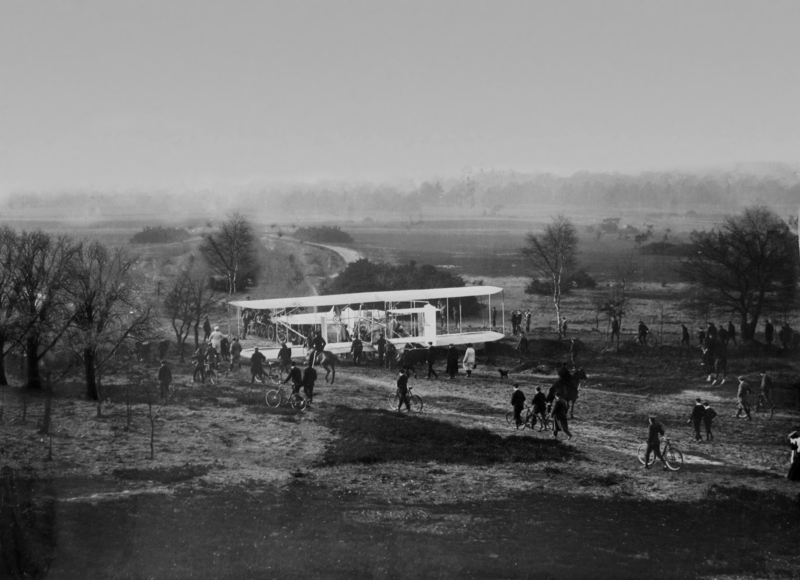 I was shown this photograph, taken in 1911, of The Cody Biplane at Laffan’s Plain which soon after became the world famous Farnborough, host of the S.B.A.C. airshows showcasing British aviation. As can be seen it was in quite a bad state as it had become wet and had not been properly ‘fixed’; pieces of the image were missing. 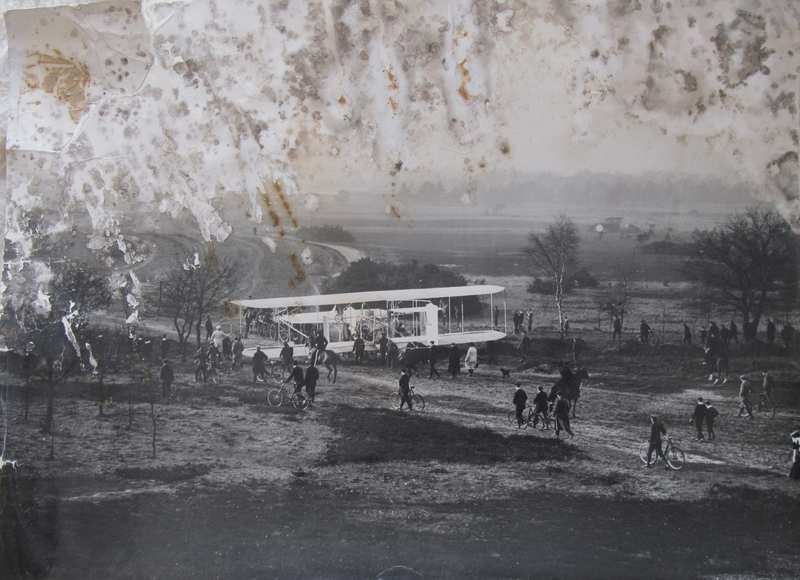 The photograph had some sentimental meaning to the owner – could anything be done with it? A brief glance suggested that there was enough useable information within the photograph and I undertook to try to restore it. … and below the restored version!